"Operation Raton" as it is officially known in French or "Operation Raccoon Rescue Cookie Drop" as it has also been called has been launched in the area to stop the spread of rabies after two racoons were discovered infected with rabies in Dunham, a town near Knowlton in the Eastern Townships, Monteregie. The air drop of vaccine laced "biscuits", consisting of the aircraft release over 120 thousand vaccine-filled "racoon cookies" containing the rabies vaccine within the area of Upper Richelieu, Rouville, Brome-Missisquoi and the Upper Yamaska region which are within the perimeter determined by officials to be at risk. The vaccine-laced bates are not dangerous to people but if you find one of the small, labelled, green-brown cubes it would be best to avoid it as it's purpose is to vaccinate the animals that risk catching rabies. However, if you do contact one of the bait-biscuits or you know a child who has then call the phone number on the biscuit or contact the local CLSC. In the event of a wild animal bite wash the wound as quickly as possible with soap and warm water and contact your CLSC or local health care providers. If you see any dogs, cats, racoons, skunks or foxes which appear disoriented or acting in a bizarre manner call 1-800-363-1363 to report it. Keep your pets inside during the operation (Until September 10th) if you are within a 15km radius of Dunham. 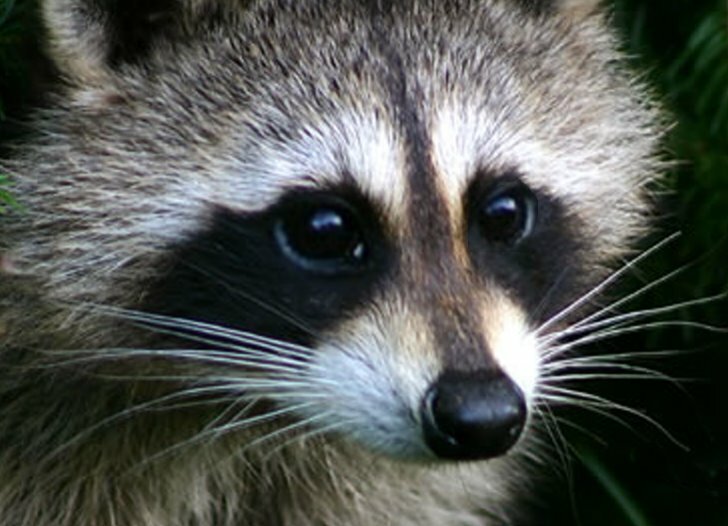 There will be a capture and manual vaccination of racoons and skunks in a 10 km radius of the area of the discovery of the sick racoons in Dunham. The towns targeted during the air drop of biscuits are: Abercorn, Ange-Gardien, Bedford, Bolton West, Brigham, Brome, Bromont, Cowansville, Dunham, East Farnham, Frelighsburg, Granby, Knowlton (Lac Brome Lake) , Potton, Shefford and other villages and towns within the radius of concern. Animal capture will continue until September 10th in Cowansville, Dunham, Frelighsburg, Sutton and Stanbridge East.